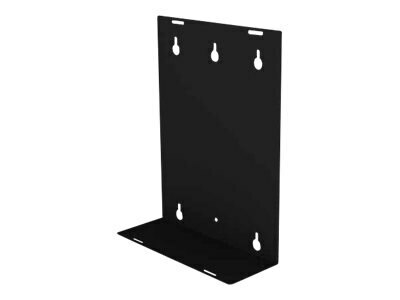 Mounting your menu board media player is now simple with the ACC-MBS that is compatible with the ceiling mounted DS-MBZ menu board product line. The discrete shelf is quickly secured to the mount via keyhole slots, while the provided strap secures the media player in place. Rear mount positioning assures the media player stays hidden while also providing easy access for servicing.